The kit is the same. Star Strand discreetly goes where no light has gone before, even under water. 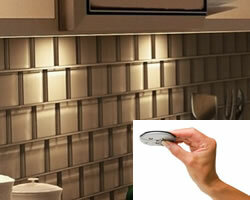 Thin strips of LEDs adhere to surfaces unfit for traditional fixtures. 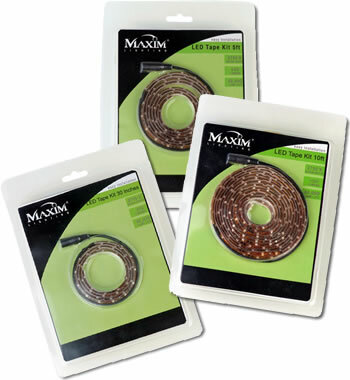 Maxim Lighting's StarStrand LED Tape Lighting Systems cast the perfect light throughout the home. In kitchens, granite counterops sparkle under the direct beam and food preparation becomes safer and more enjoyable. In bathrooms and studies, they brighten the room with a warm indirect glow. They even eliminate unwanted shadows in wet bars, curio cabinets, and bookcases with sleek profiles that conceal so discreetly you will never see the source of the gentle light. 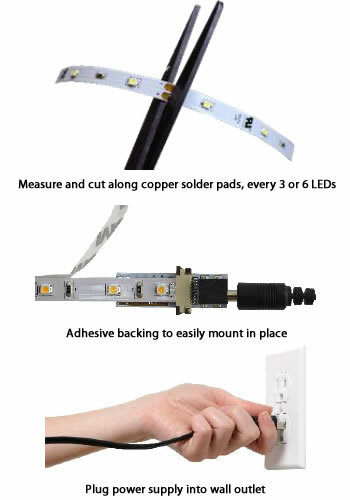 Parallel Wiring to each LED: If one LED goes out the rest stay lit. Hybrid 2 sections connect together. If you wish to span without lighting, join sections with these jumper segments. 1 Mounting Clip per foot of length is included in each kit, which should be plenty. This is only if you want additional clips. 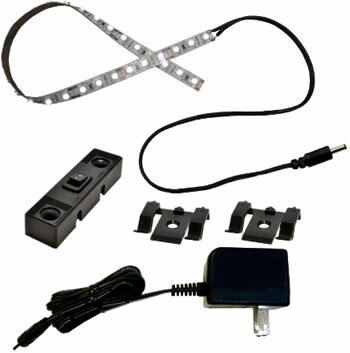 Small TV Backlight Kit: Recommended for Flat Screen TVs up to 42"
Medium TV Backlight Kit: Recommended for Flat Screen TVs up to 60"
Large TV Backlight Kit: Recommended for Flat Screen TVs up to 85"
Inspired LED offers a brand new and unique product that gives you the ability to be the sole designer of your project. 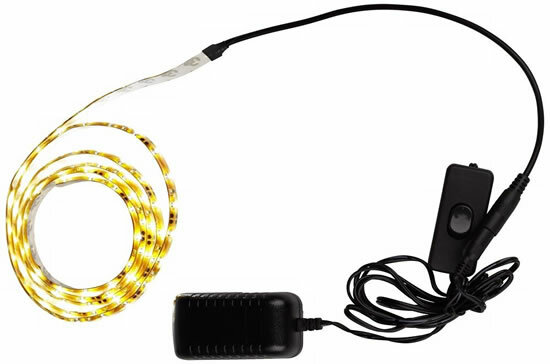 Our newly developed solderless Tiger Paw LED Connector allows you to create custom length LED flex strips at home or in the field. Perfect for anybody from beginners to electricians on the go. 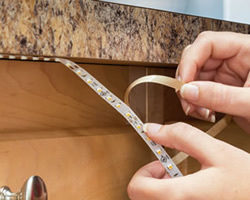 Simply cut the flexible strip, mount the Tiger Paw LED Connector onto the strip, and apply the lights to any application. 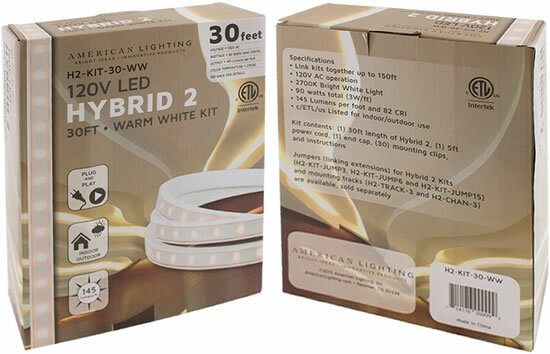 Our normal bright flexible LED strips are great to light any area in your business or home: kitchens, bars, entertainment areas, staircase railing, above cabinet lighting, in cabinet lighting, cove and kick lighting, display lighting, TV backlighting, and art, accent lighting, and more! 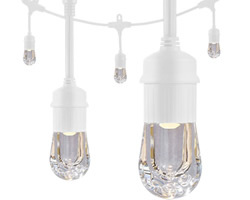 Normal Bright Flex is 90 lumens and 1 Watt per foot. 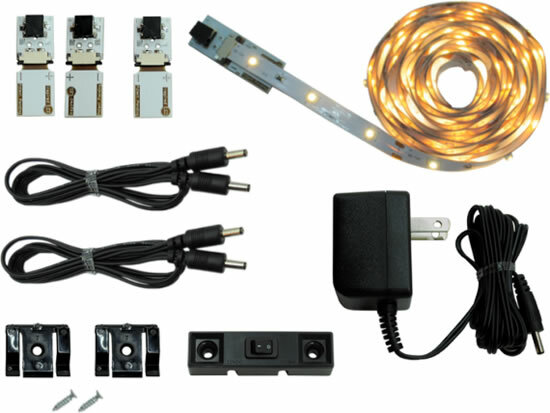 This flexible LED strip is long enough to be placed on the arm of any sewing machine and can be cut every 3 LEDs to fit your needs. 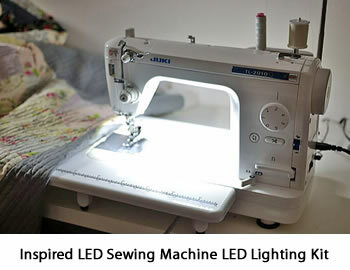 The sewing machine lighting kit from Inspired LED is the perfect solution with just the right amount of light for all your sewing needs. 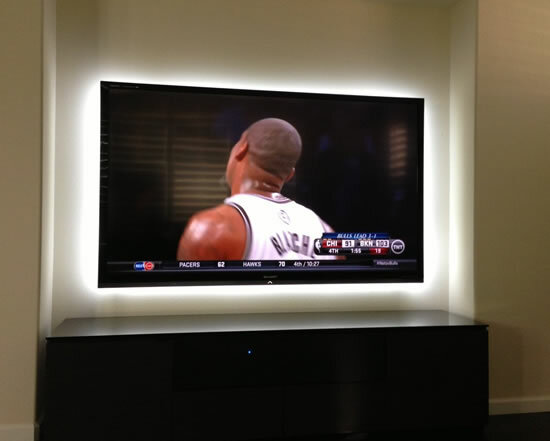 24 Volt DC Fully Dimmable LED!